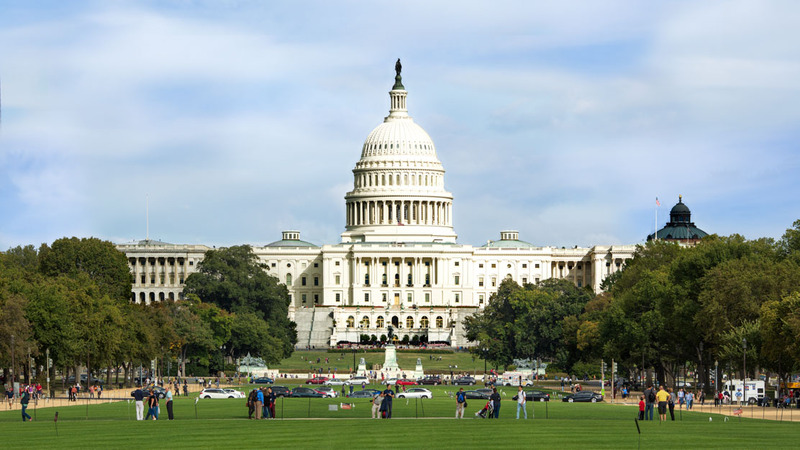 When describing the US capital, suffice it to say that big things come in small packages. Within the 61-square-mile district, you can brush up on your American history, then walk among the locals and discover the spirit of the city's oldest neighborhoods. Each state donated two statues to fill the Capitol's National Statuary Hall. At 19 feet 10 inches tall, Hawaii's King Kamehameha I is the largest and weighs a hefty 15,000 pounds. Not only is it where US government business unfolds, but Capitol Hill is also one of the city's oldest neighborhoods. Shops and restaurants abound on Barracks Row along 8th Street SE. It's the famous mansion with an equally famous address. 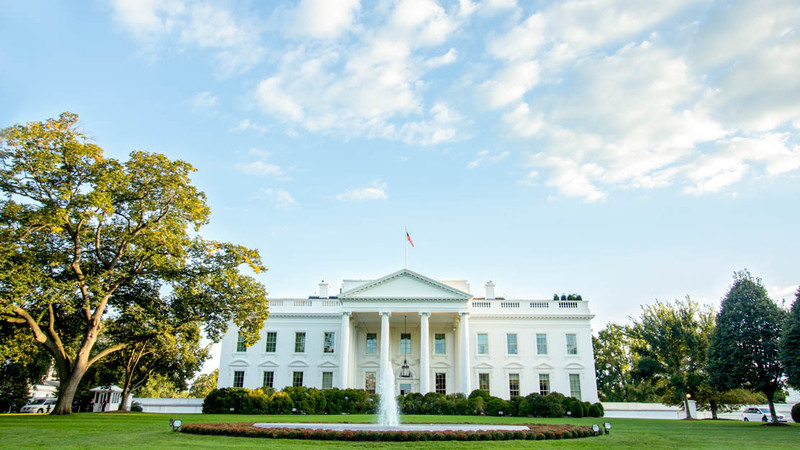 The White House is also one of America's most haunted houses, where Lincoln and others have made their ghostly presence known. 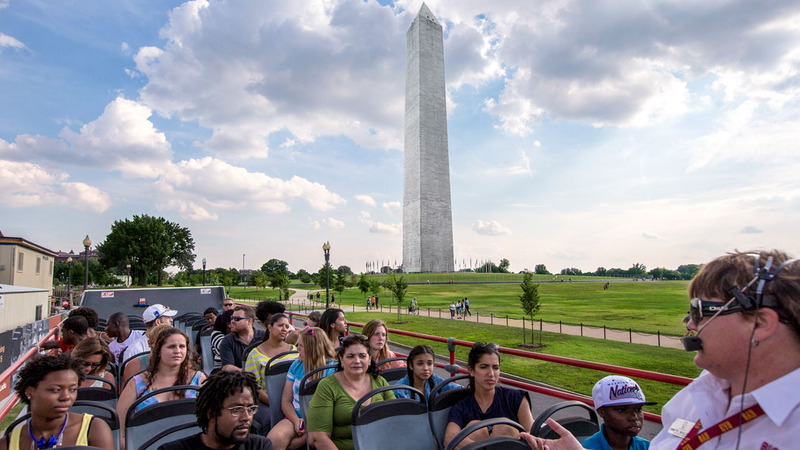 The Washington Monument first opened to the public in 1888 and has remained the world's tallest stone object and obelisk, soaring 555 feet over the National Mall. The view from the top is breathtaking. 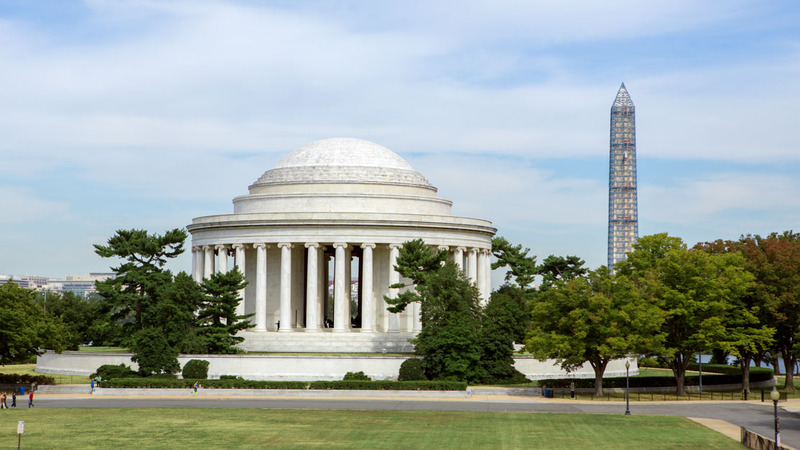 The most visited site in DC and houses the 19-foot high statue of the "Great Emancipator." The Lincoln memorial was also the backdrop for MLK Jr.'s "I Have A Dream" speech in 1963. 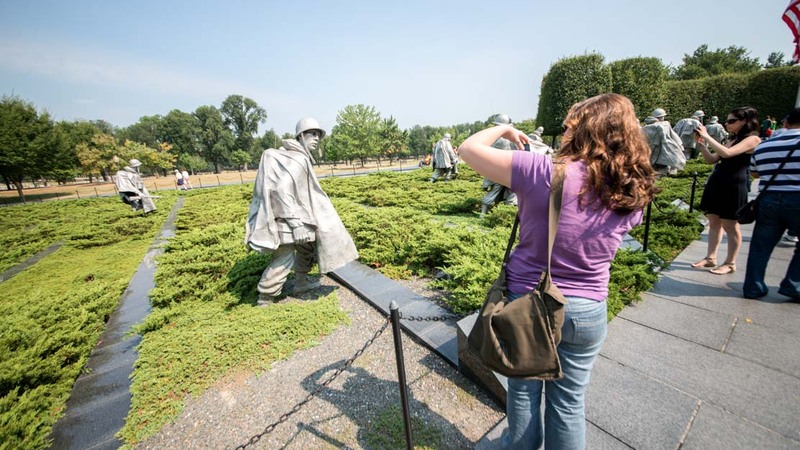 Known as "the Wall," it commemorates the 2.7 million men and women who served during the conflict and bears the 58,286 names of those who died or are considered missing in action. 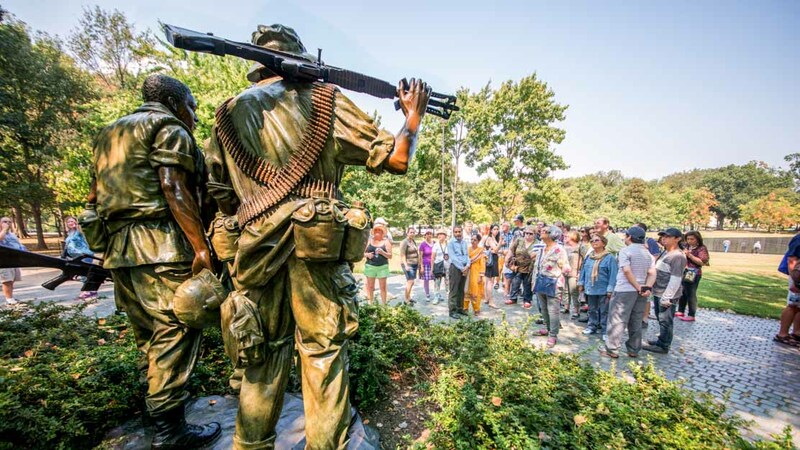 The 19 statues of the Korean War Veterans Memorial represent the four branches of military on a patrol day in Korea, and their faces reflect the ethic backgrounds of Americans who served in the 38-month long war. 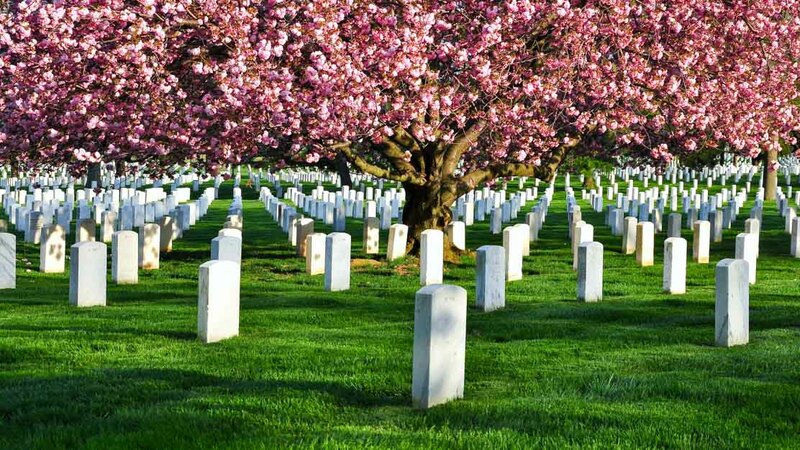 John F. Kennedy and William H. Taft are the only two presidents who rest in peace in the Arlington National cemetery. Memorials also honor those who died on the Space Shuttle Challenger and Columbia. 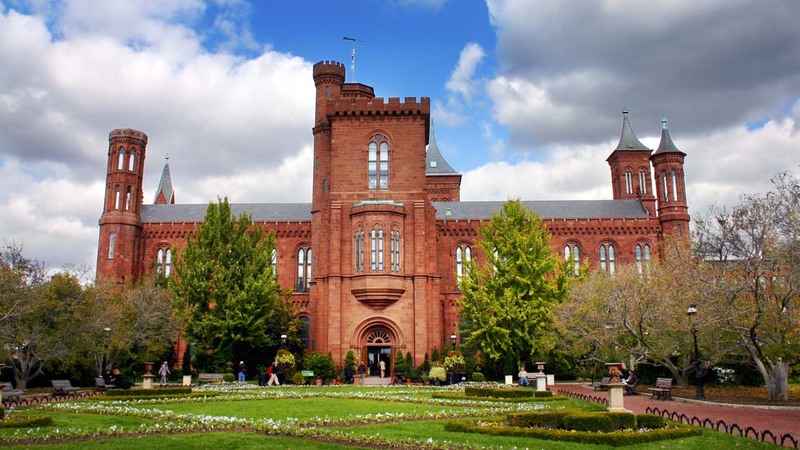 Coined "the Castle" for its Romanesque and Gothic design, the building is the Smithsonian Institution's headquarters and offers four exhibits to visit, plus two stunning gardens to admire. The US National Archives is the place to see history in print. The Declaration of Independence, the Constitution, the Bill of Rights, and the Emancipation Proclamation among others are on display. Make a reservation through your congressional office up to six months in advance and no less than 21 days. The self-guided tour takes place Tuesdays - Thursdays from 7:30AM to 11:00AM; Fridays from 7:30AM to 12:00PM; Saturdays from 7:30AM to 1:00PM. You must bring your government-issued identification on the day of the tour. Non-US citizens must contact their embassy in Washington DC for assistance. Admission is free. It's recommended to book the free, 90-minute tour well in advance either through your senator's or representative's office. You can also make a reservation online yourself. The Visitors' Center is open Monday through Saturday from 8:30AM to 4:30PM. Admission is free. Due to the limited number of visitors allowed each day, tickets are issued on a first-come, first-served basis. You can either pick up your tickets at the Washington Monument Lodge on 15th Street or reserve your ticket in advance online for a fee of $1.50 per ticket. Every ticket indicates a specific entry time. Opening hours are daily from 9:00AM to 10:00PM (Memorial Day through Labor Day), otherwise from 9:00AM to 5:00PM. Admission is free. What else is for free? 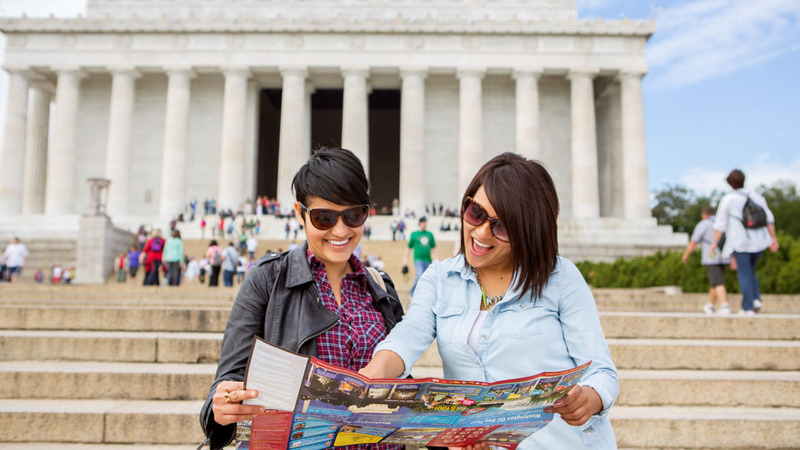 It's free to visit the memorials, the Smithsonian Museums, and the National Zoo. 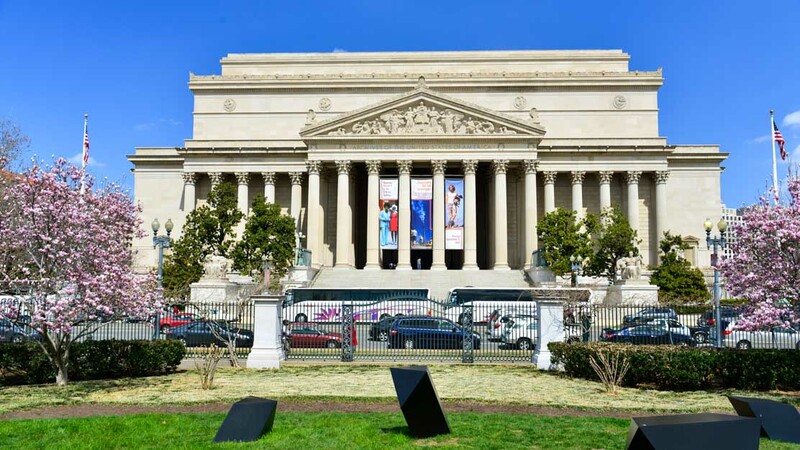 Admission is also free to enter the US National Archives, but it's advised that you make a reservation in advance at a fee of $1.50 per ticket. Spring - it's just getting warmer and it may not be as crowded as the summer!